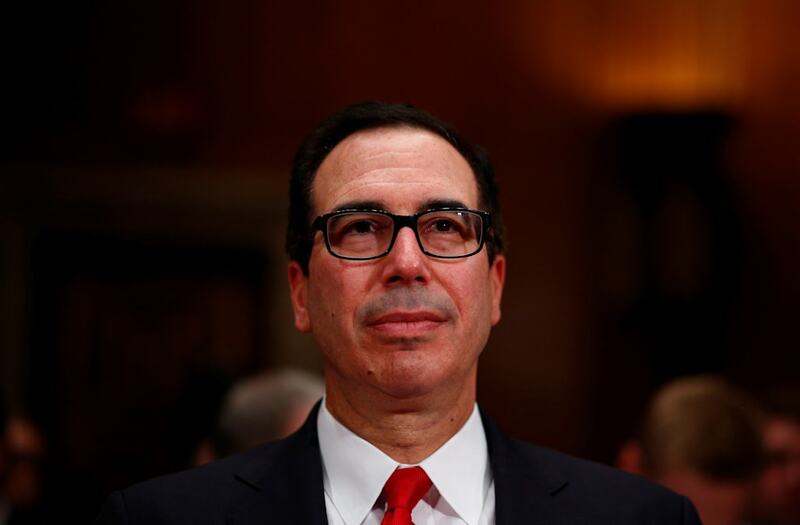 Treasury Secretary Steven Mnuchin has of late been frequently forced to defend his use — or requested use — of government aircraft. During a Politico event on Thursday, Mnuchin offered an explanation for his use of a military aircraft to fly to Fort Knox in Kentucky the day of the solar eclipse. The military base was close to the eclipse's path of totality. Mnuchin said he was in Kentucky for an event on tax overhaul. The Treasury secretary also said the claim that he traveled solely for the historic phenomenon was absurd — because as a "New Yorker," he was not interested in the eclipse at all. "You know, people in Kentucky took this stuff very serious. Being a New Yorker ... I was like, the eclipse? Really? I don't have any interest in watching the eclipse," Mnuchin told Politico's Ben White. Thousands of New Yorkers streamed into the streets of the city to watch the partial eclipse. It wasn't the only travel-related issue for which Mnuchin has had to answer. He also faced questions about his request to use an Air Force jet for his European honeymoon earlier this summer. Mnuchin said he was "very sensitive to the use of government funds" and made the request to ensure secure communication with the rest of the government. "I've never asked the government to pay for my personal travel," Mnuchin said. "This had nothing to do with convenience. This was purely about national security." Mnuchin also drew particular criticism because he is independently wealthy, with a net worth of about $300 million. The aircraft he requested for the honeymoon costs about $25,000 an hour to operate.